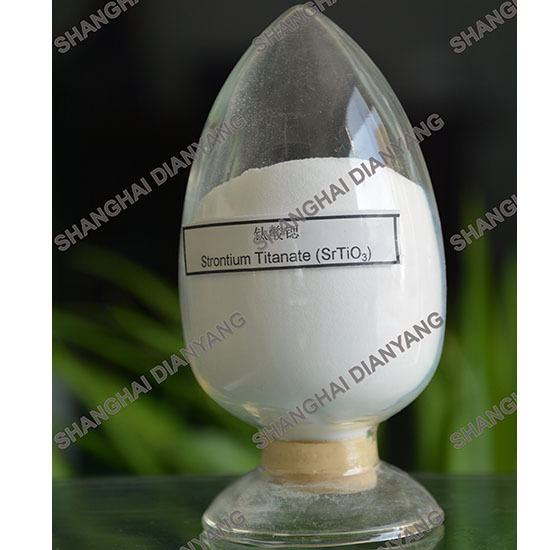 Strontium titanate (SrTiO3) is an oxide of strontium and titanium with the chemical formula SrTiO3. Strontium titanate (SrTiO3) is an oxide of strontium and titanium with the chemical formula SrTiO3. At room temperature, it is a centrosymmetric paraelectric material with a perovskite structure. At low temperatures it approaches a ferroelectric phase transition with a very large dielectric constant ~104 but remains para-electric down to the lowest temperatures measured as a result of quantum fluctuations, making it a quantum para-electric. As a basic inorganic dielectric material, Strontium titanium Oxide is widely used in the area of Ceramic Capacitor, PTC Thermistor, Piezo resistance, Optical Glass and their performance improvement with excellent dielectric, temperature and electrostatic properties. 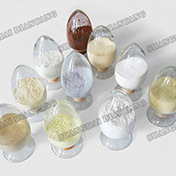 Strontium titanate powder is also periodically manufactured for use in jewelry. It is one of the most costly of diamond alternatives, and due to its rarity collectors may pay a premium for large specimens.